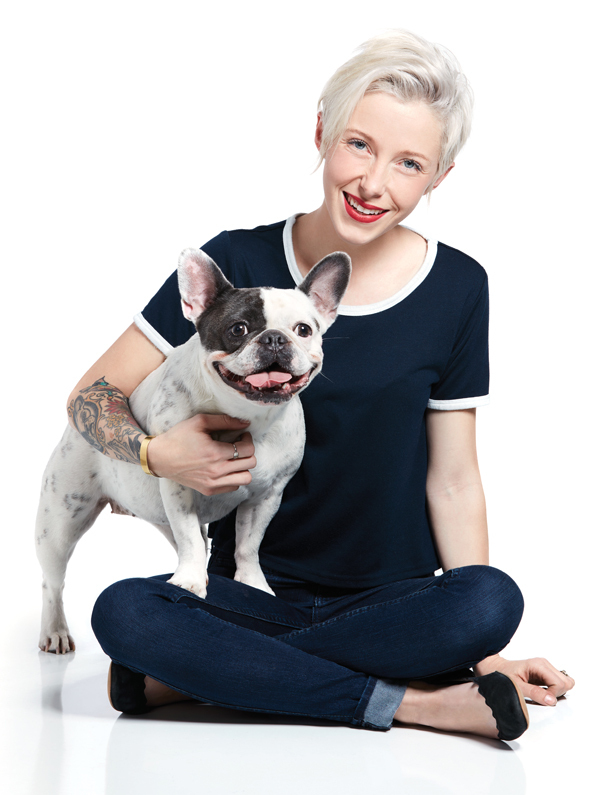 Pint-sized and tattooed, with a platinum pixie haircut, Eryn Erickson’s look is more “hippest friend you have” than “entrepreneurial powerhouse.” But when the 29-year-old singer-songwriter (and craft enthusiast) began using stencils and spray paint to create T-shirts bearing the affirmation “so worth loving,” she unwittingly birthed an inspirational brand. Five years later Erickson (pictured with Sprocket) has a new retail space in East Atlanta, selling clothing, cards, and trinkets all based on three words and the promotion of self-worth. Hails from Clarkesville, Georgia. The closest Walmart was 30 minutes away. Family ties My parents have been in the furniture business for nearly 30 years—my grandmother longer than that. I used to ride in the back of my dad’s pickup truck, watching VCR tapes, wrapped in furniture blankets, while he made deliveries. Neighborhood East Atlanta. It’s a great example of diversity and humanity. It has its quirks and flaws, and it’s not trying to be something it’s not. Craft queen I made my first So Worth Loving shirt with Hobby Lobby stencils and spray paint and other supplies I had in my craft room. I was in the suburbs then. Now I have a craft closet. School of life I never went to college. I helped out with the family furniture business and then a clothing store they owned in Alpharetta. Later I started a career in music. But I did Google a lot about business when I first got started. Uniform Most of my wardrobe is black, denim, and plaid. All my outfits are variations on the same thing, but it’s easy. I know what I like. Go-to brands Topshop. Zara. Madewell. Black Milk for leggings. Denim hack My jeans are from Abercrombie for kids. They fit me perfectly and don’t have to be altered. Can’t get enough of Anything you can layer: jackets, thick sweaters, cashmere scarves, down-filled fluffy things. Do tattoos count? I collect those, too. Mentor Jeff Shinabarger of Plywood People. He always gives me the answer I need to hear, not the one I want to hear. Hype music I love Sia’s new album. Her song “Alive” is the world’s best anthem. Favorite getaway My grandmother’s place in Hollywood, Georgia. She’s 86 and has no cell service. We craft and watch Shark Tank together. After hours I love the late-night menu at Marcel. And I really love hanging out in the bathroom and spraying myself with Chanel perfume. 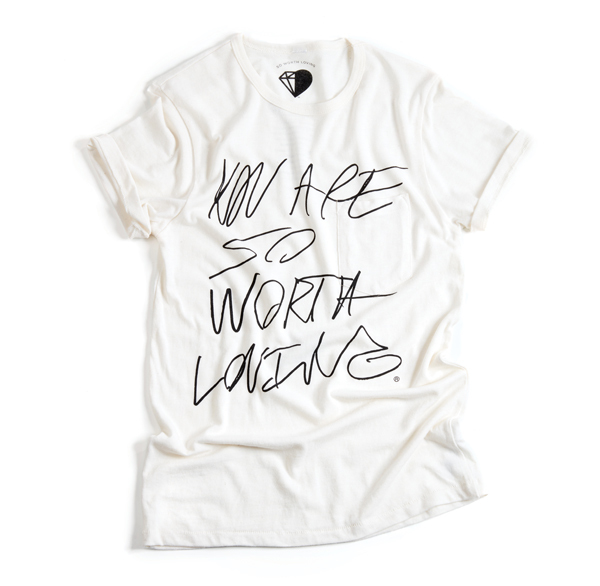 Find her apparel (like this tee, $35), as well as items from feel-good brands like Toms and Happy Socks. This article originally appeared in our April 2016 issue.